The holidays are just around the corner again and HPL will have a different schedule so everyone can join in the festivities. All HPL branches will be closed on December 23, 25, 26, 30, 2018 as well as January 1, 2019. Extended access will not be available at the Freelton and Lynden Branches during the closures. 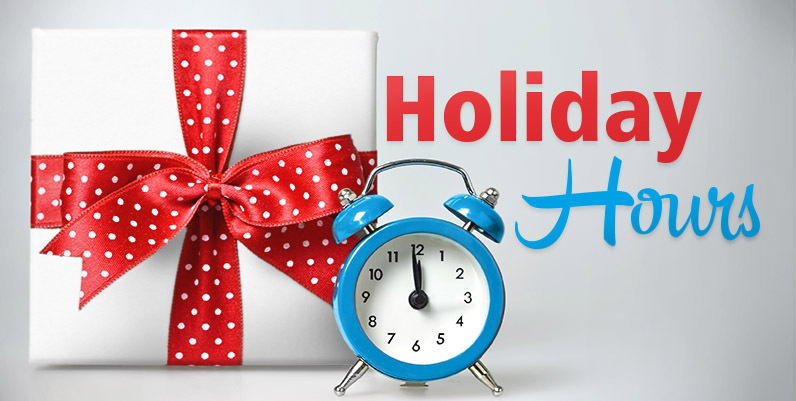 All HPL branches will have reduced hours from December 24 to 29, 2018. Please check with your branches for the specific branch hours. You can also print or download a copy of our holiday schedule. The last day for Bookmobile service is December 21, 2018. Service will resume on January 2, 2019. Regular hours will resume on January 2, 2019. Happy holidays from the Hamilton Public Library!